Hamirpur: The Congress and the BJP are banking on the clout their old guards wield over voters to reap gains in the Himachal Pradesh Assembly elections. 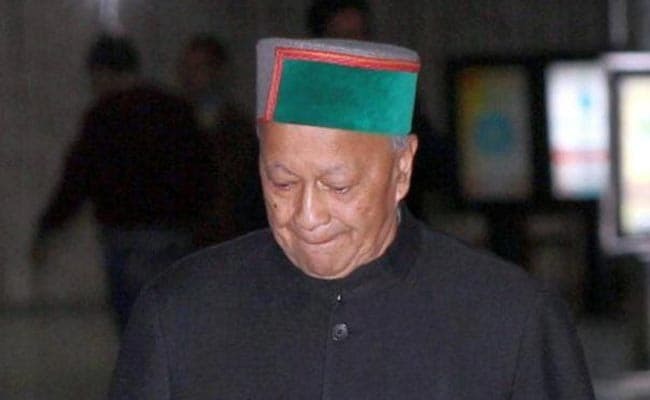 The ruling Congress is relying heavily on 83-year-old Virbhadra Singh, a six-time chief minister and five-time Lok Sabha member. Despite his ripe age, Mr Singh, who is contesting from Arki, has been addressing a series of rallies across Himachal Pradesh over the past three weeks in support of party candidates. "Chief Minister Virbhadra Singh is a very senior leader with mass appeal. The people will re-elect the Congress because of the developmental works our government has undertaken in the state," senior Congress leader Randeep Singh Surjewala said. The Congress's senior most leader in the Mandi region, Health Minister Kaul Singh Thakur (72), is contesting his ninth election. Mr Thakur is also key to negating any advantage which the BJP may get due to former union minister Sukh Ram and his son Anil Sharma, who was a minister in the Virbhadra Singh government until three weeks back, switching over to the saffron camp days ahead of the November 9 polls. The BJP has made 73-year-old Prem Kumar Dhumal its chief ministerial candidate. Mr Dhumal, a two-time chief minsiter, enjoys a strong following in Hamirpur, Kangra, Una, Chamba, Solan and Mandi districts, which contribute a majority of the seats in the 68 -member assembly. "He is a seasoned politician and two-time chief minister who rules people's hearts. I think it (naming him as the chief ministerial candidate) is going to make a big difference to the BJP," Hamirpur BJP MP and his son Anurag Thakur said. The BJP is also looking to utilise the clout of two-time chief minister Shanta Kumar (83), especially in the politically-crucial Kangra belt, though he is not contesting the polls.